(Newser) – As South Africa braces for a farewell to Nelson Mandela, an archbishop visited him at the hospital to pray for a "peaceful, perfect end" for the former president. 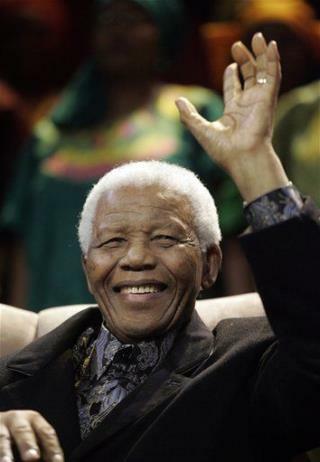 Mandela was recently reported to be in critical condition, and there has been no update on the 94-year-old's condition since then, the AP reports. Members of Mandela's family, including his grandsons, met with tribal elders in Mandela's rural hometown yesterday, but no details of the meeting have been given. Hope it's a miserable death for this country ruining bleeding heart. Did the victims of the violence he ordered in the 50s get a peaceful end? Just curious.